A hospital can only operate with a well-integrated staff comprising nurses, doctors (both junior and senior), allied health professionals and a wide range of support staff. Over the years, total staff numbers have progressively increased to match patient load. 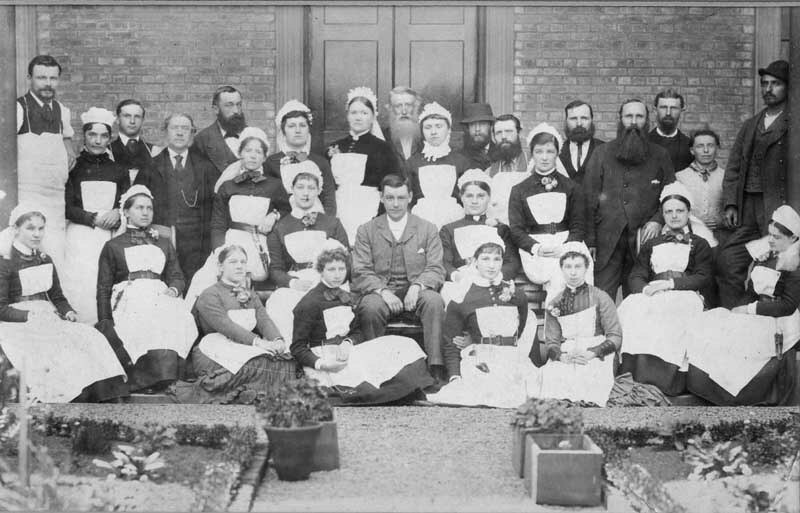 At the beginning the full-time staff were few in number as shown in this 1885 photograph. 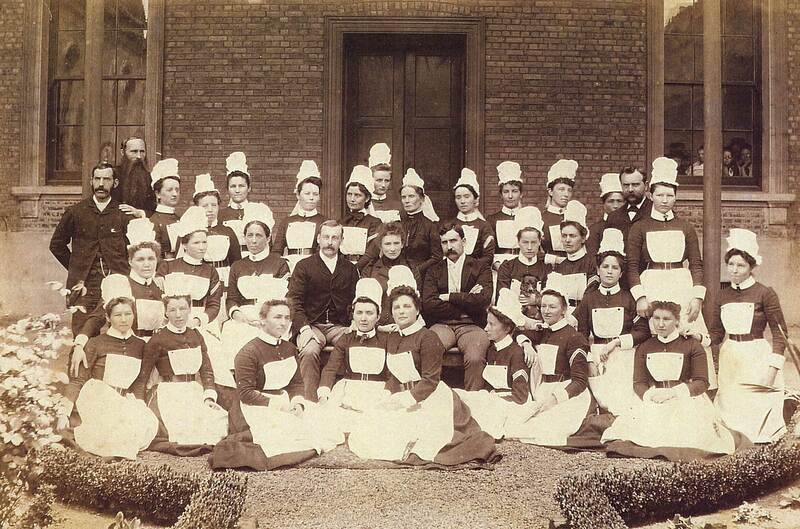 There had been some increase in staff numbers by 1891 as seen in the photograph below. 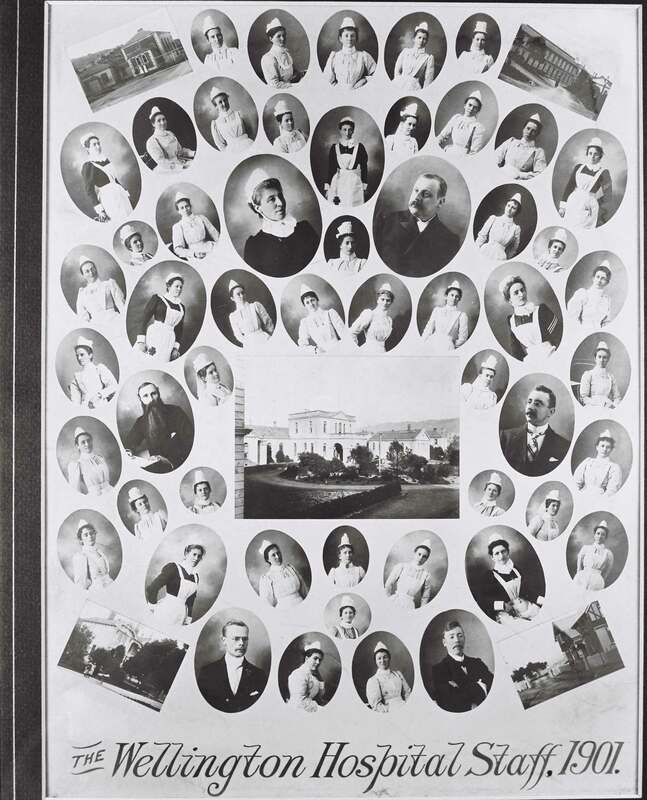 This archive focuses on the senior medical staff. The mini-biographies are grouped in twenty-year blocks according to the year in which a staff member was first appointed.